While it's not extremely rare to see flights to Paris from Montreal at the $700 after tax level, it's just that they're usually offered on Air Transat at the last minute, which is tough for people that can't up and leave for Europe on a whim. What makes these ones even more special is that they're being offered for peak summer travel, in June and July 2013, dates that are far more unlikely to see price drops on any carrier. These flights on Corsairfly are over 30% cheaper than summer 2013 flights on any other carrier, even Air Transat! Here are some example searches on Kayak. Click through to Corsairfly or Orbitz to book. One thing to note is that Corsairfly uses Paris's Orly (ORY) airport, about 14km south of central Paris. - It took around 200 years to build Notre Dame. - It's referred to as the 'City of Lights' because of the high concentration of intellectuals, writers, and artists that have always been drawn to it. Nothing to do with wattage or streetlights. 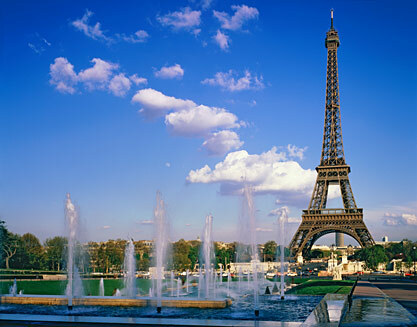 montreal, yul, europe, western europe, flight deals, paris, france, ory and corsairfly. 3 Responses to "Summer 2013 flights to Paris - $735 roundtrip after taxes"
thanks Chris i paid 2800$ for 4, amazing price for july-august. For Paris in April, do you think it's better to purchase tickets now at around 828$ or wait until later?